I decided to become a Dementia Friends Champion because my mother died while dealing with dementia, and I feel all of my family would have had more comfortable lives if I had known then what I know now. Champions deliver Sessions to the public, how did your first one go? My very first session went very well. I gave it to 50 people I had never met before and the groups feedback was very positive. My biggest challenge was my lack of experience, but by following the Session plan given to me at the training day, I got through it successfully. The only unexpected moment was when the organiser ran over and the presentation time was cut by 10 minutes. Tell us about your experiences on The Island? Taking part in The Island with Bear Grylls was a fantastic opportunity. Over 90 thousand people applied and I felt being selected was like winning the lottery. It gave me the chance to find out if I am still the man I think I am. It was very, very hard but incredibly satisfying and fulfilling. Has the experience helped you in your volunteering role? 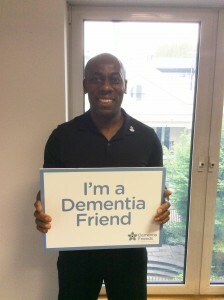 Yes, the experiences on the Island helped me in my role as a Dementia Friends Champion because it reinforced my belief that I am good at communicating with strangers and that my sincerity and faith in what I am supporting and saying comes across. On the fun side you gain the same buzz from doing something for your fellow men and women while having no idea who they are, and they have no idea who you are. Do you miss being cast away on The Island? I don’t miss the Island but I do miss my Island Brothers. We called ourselves the Oceans 11 as, (spoiler alert!) 11 of us survived out of the original 14. I am glad to be back in the real world but I do have a new appreciation of how much we take for granted the things in our lives. What do you want to achieve as a Champion? 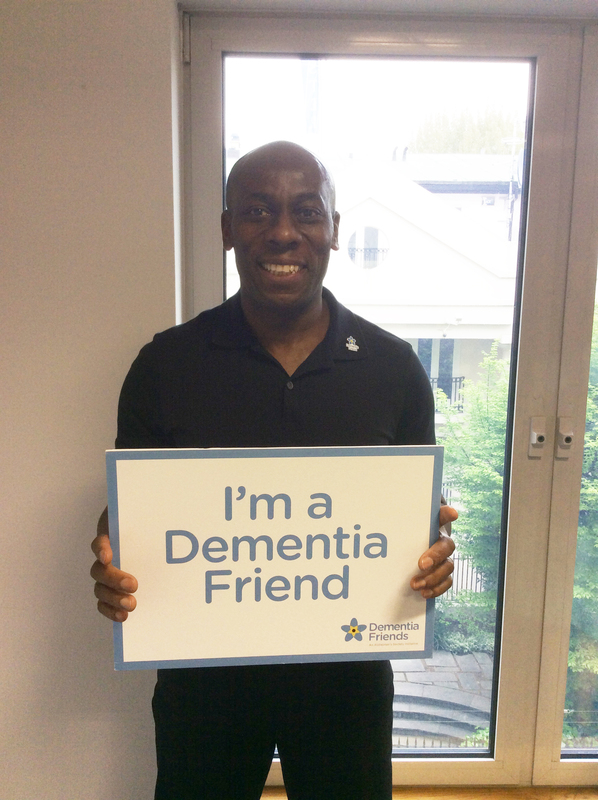 As a Dementia Friends Champion my goal is an easy one for me – spread the word as often as I can to make our world a more dementia friendly one. My motivation comes from not putting too much pressure on myself. I use this little saying to keep me on target by the yard it is hard, but by the inch it’s a cinch’. This works well for me because it confirms that everything I do is a worthy effort. 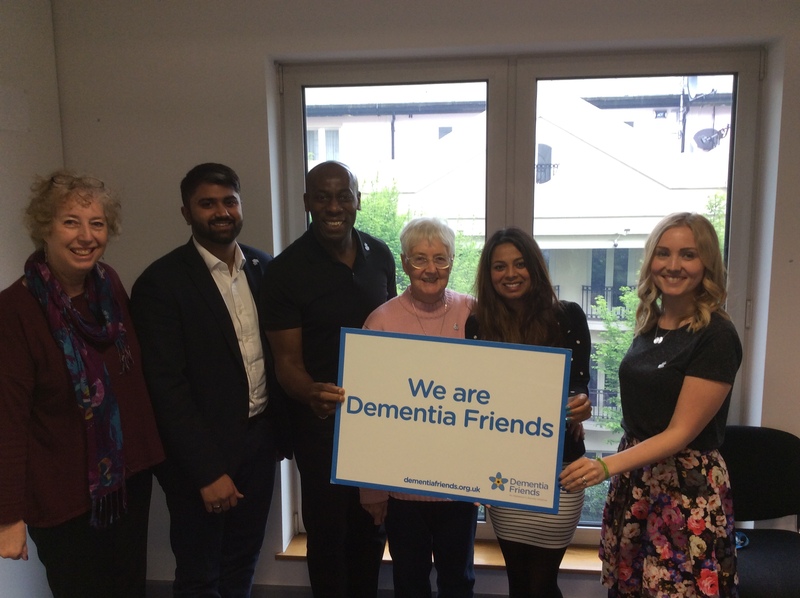 Do you have any advice for people thinking of volunteering as a Dementia Friends Champion? My best advice to any potential fellow Dementia Friends Champions would be, be yourselves and just do what you can, with a smile and a willing heart. If we all pull together (there’s now over 10,500 trained Dementia Friends Champions) and deliver Sessions in our communities we really can have a positive impact on people living with dementia. This entry was posted in Why A Champion on June 1, 2015 by Dementia Friends. My mum has mild dementia and trying to get certain things in place has been extremely hard including certain abuse issues but I liked the saying “by the yard It’s hard, by the inch It’s a cinch”. I didn’t know About dementia friends though and its something I could look into. Many thanks.